The most dangerous fraction of the One Percenters are those who also own sports teams. They’ve got a finger on our fantasies. We’ve come to expect that those Billion Dollar Babies will ruin our lives, hasten our deaths, and be generally unaware of the details of our existences. That’s the way the ball has bounced through history. But in these high times of the so-called national passion, we can endure anything so long as we believe that someday our team will be No. 1. 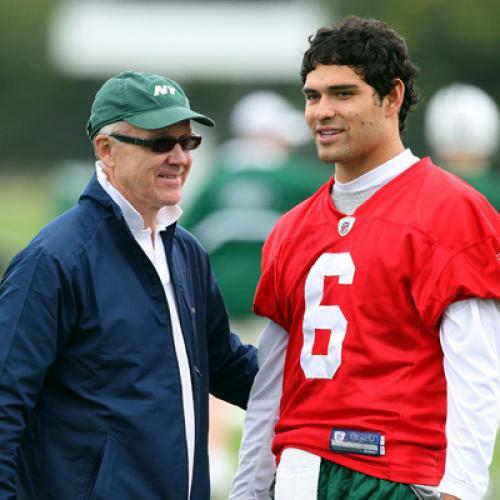 Woody Johnson is a great-grandson of the man who founded Johnson & Johnson. At least since 2008, when he scored $7 million for John McCain hosting a single-evening fundraiser, he has been an all-pro Republican. And he shares Mitt Romney’s distaste for taxes: In 2006, as chairman and CEO of the Johnson Company, Inc., a private investment firm, Woody was chided by the IRS for cleverly buying capital losses cheaply and using them to wipe out some $300 million in tax bills. He said his lawyers made him do it. He later settled with his country, which comes first. Not to my credit, I always thought Woody was kind of slow. At breakfast almost a quarter-century ago, I tried to convince him to help fund the nightly public affairs show I was hosting. He was polite, but didn’t seem to understand why a New York PBS station needed a show that didn’t feature weasels eating snakes or lots of upper-class Brits talking twit. He passed and prospered. We stayed on the air for two seasons. I forgot about him until 2000, when he outbid the Dolans of Cablevision for the Jets with what was then considered an extravagant $365 million. The Jets had not – have not – been good since 1969 when Broadway Joe Namath led them to a Super Bowl victory. The Johnson Jets seem to be an example of a certain style of boneheaded man-crush ownership you see often in New York. I’ve wondered if powerhouse one-percenters in a media spotlight tend to hire coaches and athletes who reflect their images of themselves. A good example is James Dolan, a scion of Cablevision, a rock musician, and owner of the Knicks (he let the angel Jeremy Lin fly away). Dolan hired the Baddest Boy, Isiah Thomas, as coach and executive. Thomas eventually left in the wake of a settled sexual harassment suit. Dolan also hired the league’s most selfish shooter, Carmelo Anthony, an all-Star who ruined the chemistry of the team. There was George Steinbrenner who hired the nasty alcoholic Billy Martin five times as manager mostly so he could fire him (self-flagellation?). In a mean spirit, we could also add the owners of the Mets. The Wilpons were thick with Bernard Madoff, and I’ve always wondered if the team’s haplessness could be blamed on decisions made by the Ponzi schemer. Then we have our Woody, whose man crushes have included the blowhard entertainer, Coach Rex Ryan, and Mark Sanchez, the magazine cover-ready quarterback who is not quite ready for the NFL. Even when Woody’s team hires somebody we want to see play, it doesn’t play him. God’s wildcat, Tim Tebow, is generally considered the most exciting player in the game and arguably one of its most talented pure athletes. Why can’t the Jets find a position for him? His aggressive evangelical Christianity offends Mormons? C’mon. We always assume that a sports owner is as hungry as we are to win, that his identity is embedded in his team next to ours. We keep forgetting he might have more important games to win. Those skyboxes are a great place to romance potential Romney donors. Sure, if the Jets win, Woody can have bragging rights in the owners’ bathroom at NFL meetings, and some profit. But that’s nothing compared to the tax breaks (and we know Woody’s lawyers love them) that a Romney victory will bring. Not to mention sleepovers in the White House. So maybe there was a grand design in Woody’s remarks. He was telling America that there is something larger than the sad little fantasies of personal reversal and redemption symbolized by our teams, something beyond the pathetic details of our existence. This may be too harsh. I might have been right in 1989 when I thought Woody was kind of slow. After all, picking Romney over the Jets was honest and correct, if somewhat insensitive, not unlike Mitt on the 47 percenters, those losers you never need to think about, like us. Robert Lipsyte, a former sports and city columnist for the New York Times, is author of the recent memoir, An Accidental Sportswriter.